We all know that times have changed over the years, which is a normal process in anyone’s life. These photos are proof of that, as we used to think that smoking cigarettes was a good idea! 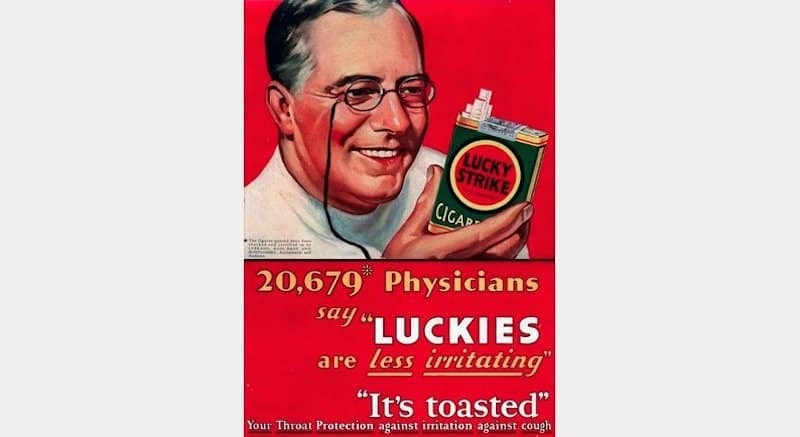 These cigarette ads are hilarious, as they even have dentists and doctors endorsing the use of cigarettes. That would never happen today, unless they were looking for more business. 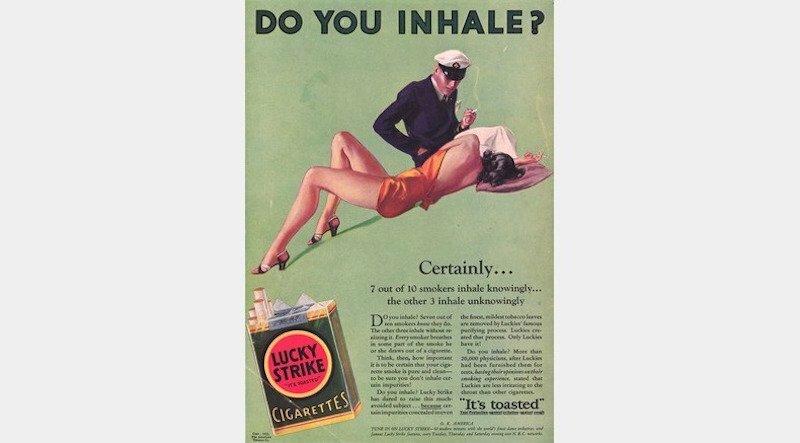 While these 20 cigarette ads are hilarious, they might shock you too! 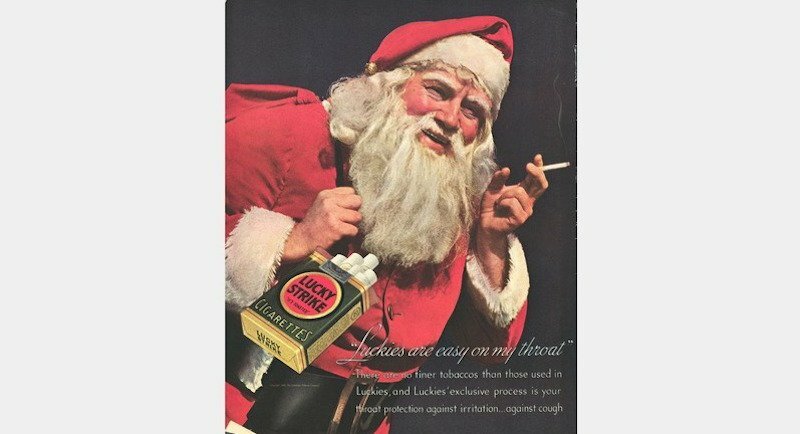 If you want to sell cigarettes, you better hope that Santa Claus endorses them. Good thing he only works one time a year with that smoking habit. How funny that they are stating facts and that by smoking, you can lose weight and be so much healthier. 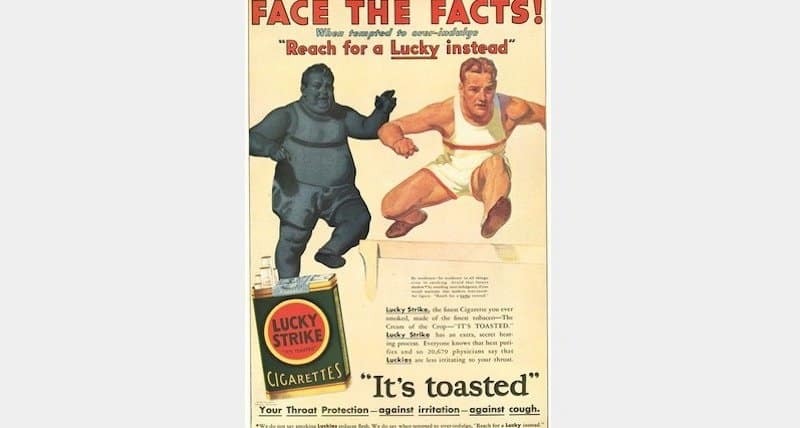 Times have definitely changed with the health standards of cigarettes. 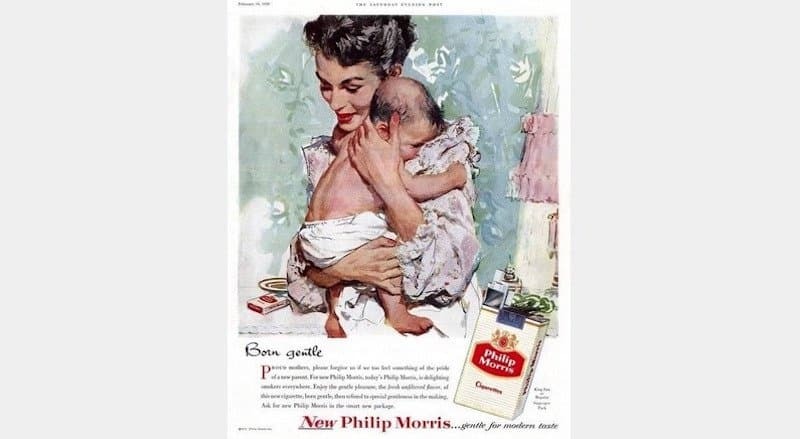 This ad is comparing cigarettes to babies, which is wrong on so many levels. Just like a baby, these cigarettes are gentle. Too funny! 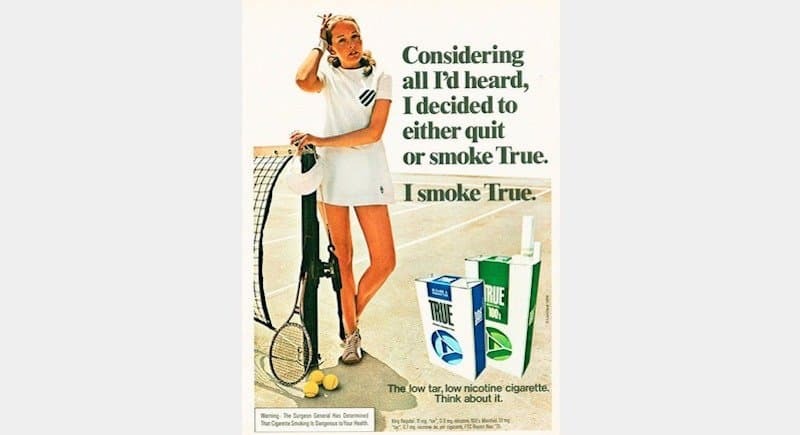 Rather than quit, this athlete decided that she would rather smoke this brand. It is low tar and low nicotine, so it is so much better for her game! 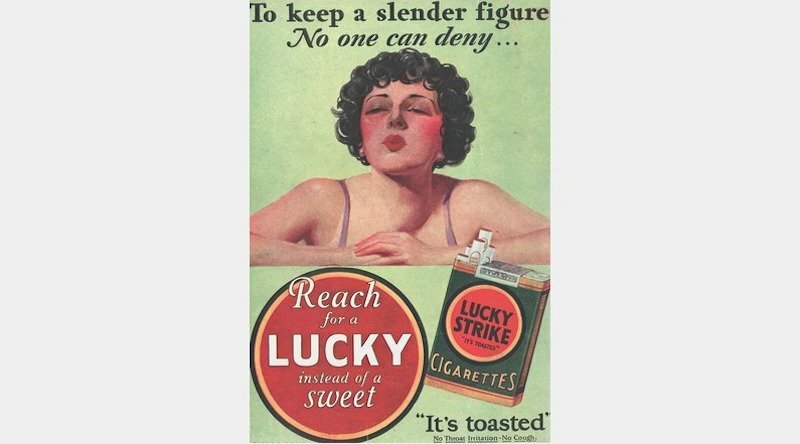 If you are looking to be skinnier (but die sooner), then reach for a Lucky instead of that sweet! Cigarettes help you keep a slender figure, which is such a joke because we have seen a lot of overweight smokers. 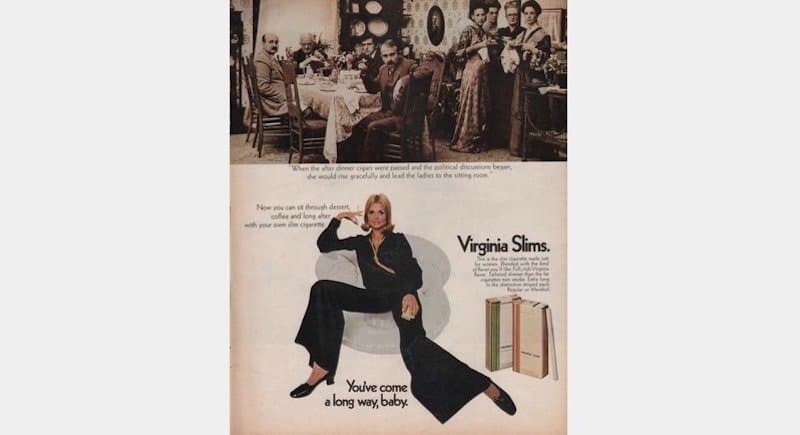 Women did not want equal rights to vote or feel as equals to men, but they wanted them so they could smoke right along with men after dinner! How crazy is this ad? We’ve sure come a long way. Well, this one is very dirty! 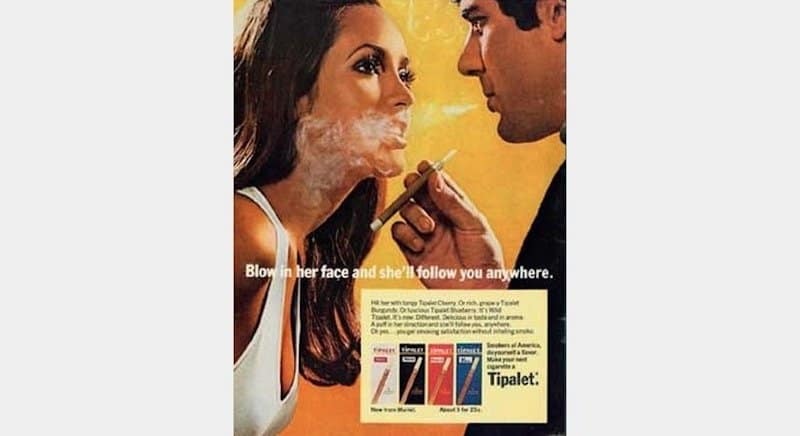 Blow in her face and she will follow you anywhere, as he blows in her face. We don’t think she’ll follow, but this ad thinks so! The reason we don’t smoke is because it is so hard to get a cigarette out of the box. 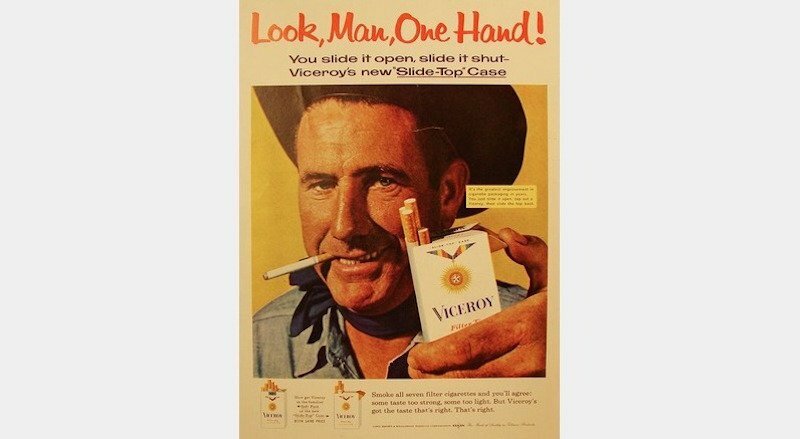 However, this cigarette box is so much easier and you can do it with one hand, so now we might actually smoke. 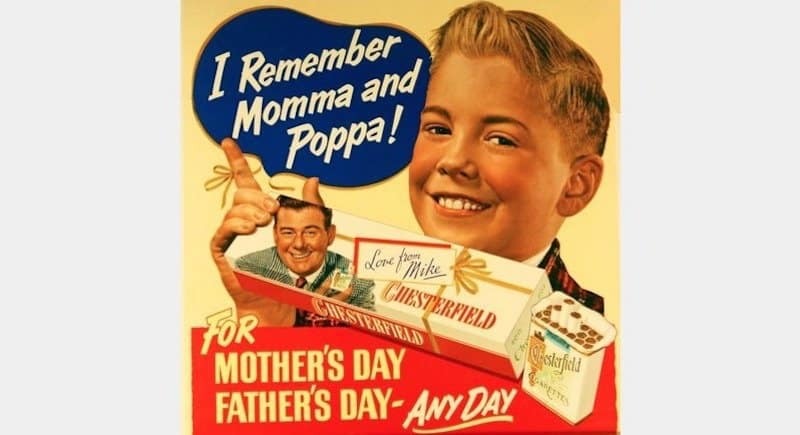 We just celebrated Mother’s Day, so did you get your mother a carton of cigarettes? If you didn’t, don’t forget to do it for Father’s Day coming up. They are truly perfect for any day! 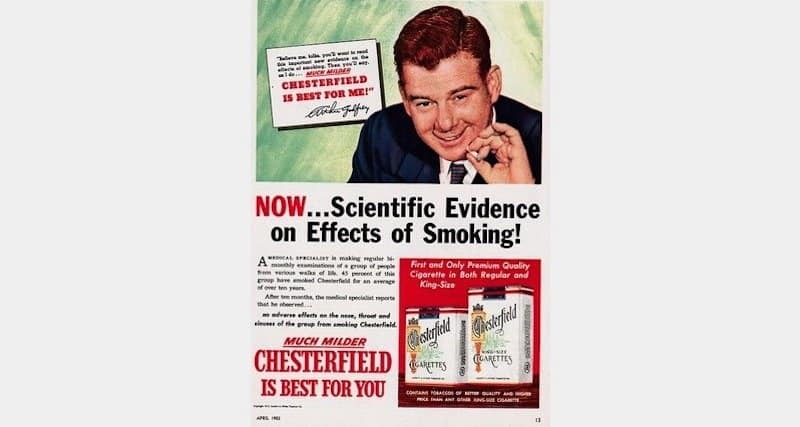 This ad is proving to us why cigarette smoking is not bad for you. So, how do you think this company feels about the advertisement now? They say that smoking is a pleasure, but they also think that playing a trombone on the beach is a pleasure too. 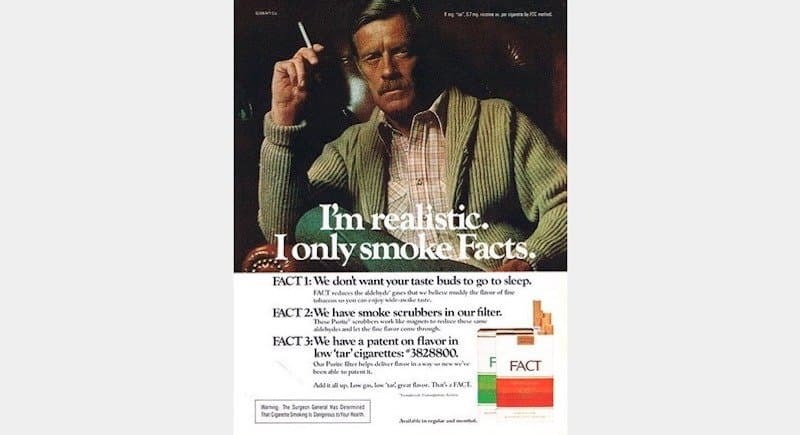 We aren’t even focusing on the cigarettes when that guy is in the photo! It seems like a perfect match to us, as she likes to read fortune cookies and he likes to eat them. They both win, right? While they differ on fortune cookies, they both like to smoke these cigarettes, so the perfect match continues! 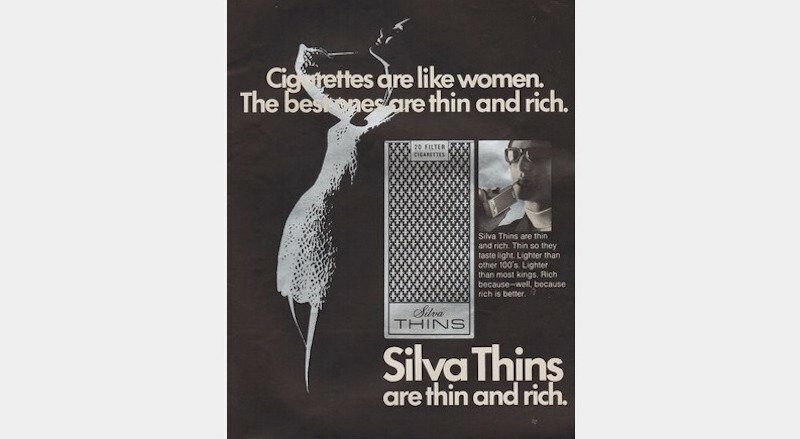 This ad is definitely focused towards men, as they want their cigarettes like their women — thin and rich! Could the company be more misogynist? We are sure many women weren’t buying them! Could the positions of the man and woman be any more obvious? They add in the inhale question and this one is raunchy! They talk about being more manly and being big with your pleasure. 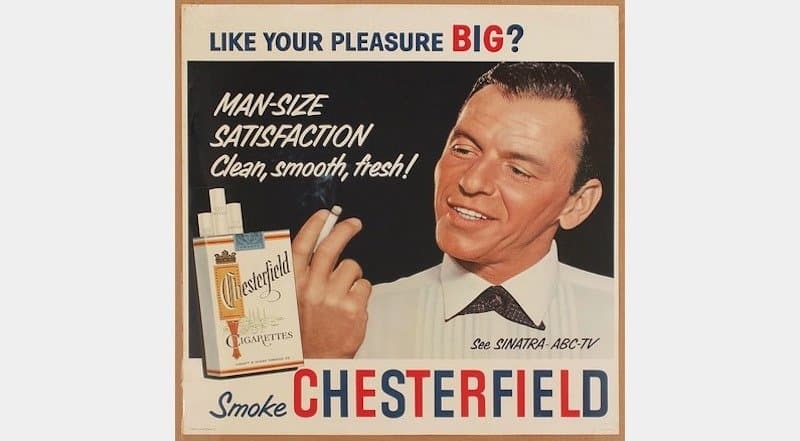 They even throw in Frank Sinatra, so be a man and smoke these cigarettes. 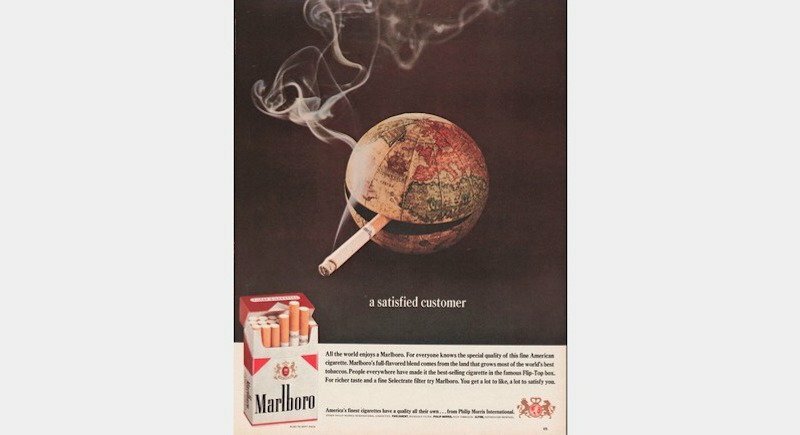 To show how great smoking is, even Earth loves doing it! With pollution ruining the planet, now we have to add in smoking too. Everyone will be dead before we know it. When companies have to continuously use “facts” to sell their products, we are not too anxious to buy their product. Who are they trying to convince with these facts? We said that the doctors even recommended them and here you go! A lot of the ads say “less irritating” and we aren’t even sure what that means, but we’re irritated by these ads! When we think of springtime, we think of fresh grass being cut or flowers blooming. We do not think of people smoking and blowing it in our face! 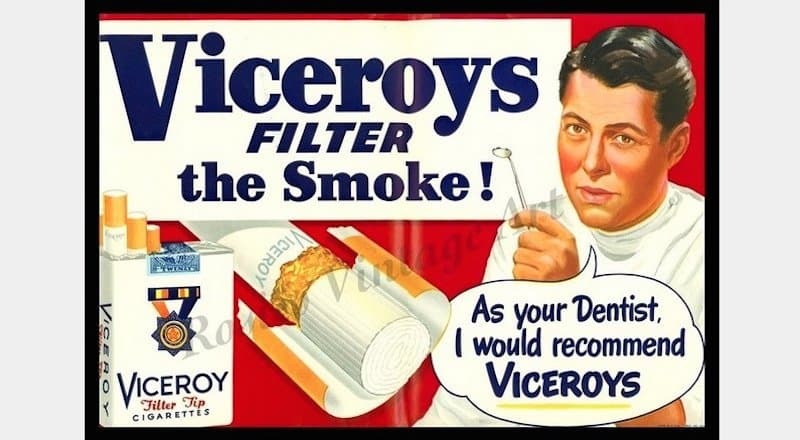 If your dentist is giving their approval for these cigarettes then they must be good for you, right? 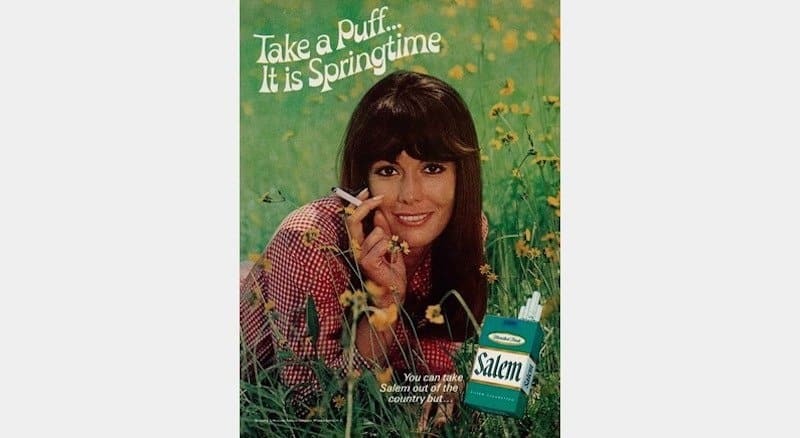 These companies were really trying to sell cigarettes back in the day!